"Mirror Mirror on the wall, tell me who is the most beautiful of them all?" must be greener on the other side, which it seldom is. There are a lot of places where you can buy a lighted makeup mirror, one of the ladies favorites are the Vanity Mirrors. The downer about these mirrors, is the fact that they are very expensive, and if you need it shipped to another country, then Wow. But here is some good news, you do have the opportunity to build one for yourself, and enjoy having the best lighting for when you apply your makeup, which is a must. Of course nothing is really free so you do have to spend a few dollars, but a lot less from what you would spend if you order it directly from the stores. 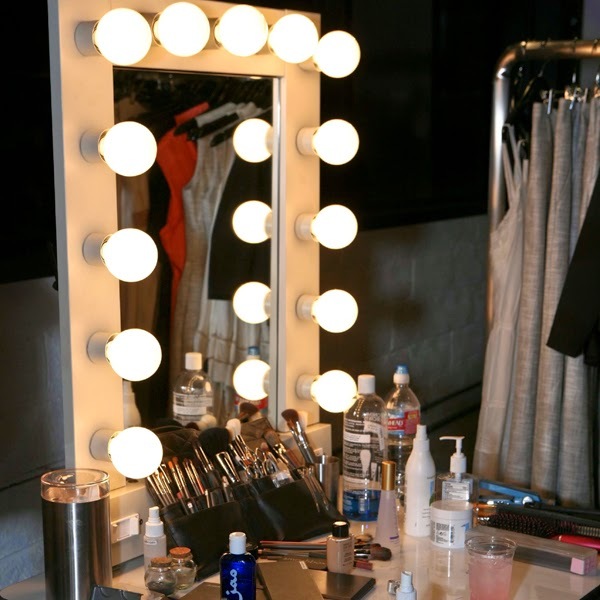 This lighted makeup mirror will for sure save you some money. When you buy a finished product, it is what it is. You cannot make it any smaller or any bigger. But when you build it yourself, you can make it just the right size for you. You can make a big mirror, that shows your whole body, or you can make the small one to hang it above your favorite dresser. "But how will I make it on my own, you might say, I have no experience with this kind of work." If you are frighten of trying to set up a light panel, then I recommend that you ask a friend to help, but it is not really that hard, and you surely don't have to be afraid, because it would be plugged into anything, to begin with. Just go to the hardware store, and buy everything from the list. Bring it home and start building it. Follow the instructions, and in a few hours you will have a mirror of your dreams. Recommendation: Look for what is known as White Lights, regular light bulbs are yellow lighting. You can ask at your local store, if they have any Day Light bulbs, these are day light imitation bulbs. You can also make you mirror into a heart shape, with bigger or smaller bulbs, even with bulbs in different colors, just depending on your wishes. Note: Having them in different colors, then you will have to put them of different switches, so you can turn each color on or off, that is if you want the perfect makeup mirror, which demands the white lights. (different circuits for each color section). It is said that any space looks bigger with a mirror in it, so if you are living in a small apartment this is surely a thing for you to make. If you have a lot of space, then make it across the whole wall, and it will look like you are living in a castle. If you are tired of small mirrors on the back of cabinet door, which are always in the dark, and you can hardly see yourself in it, or small bathroom mirrors this is the right thing for you. Take things into your own hands and make this dream come true.